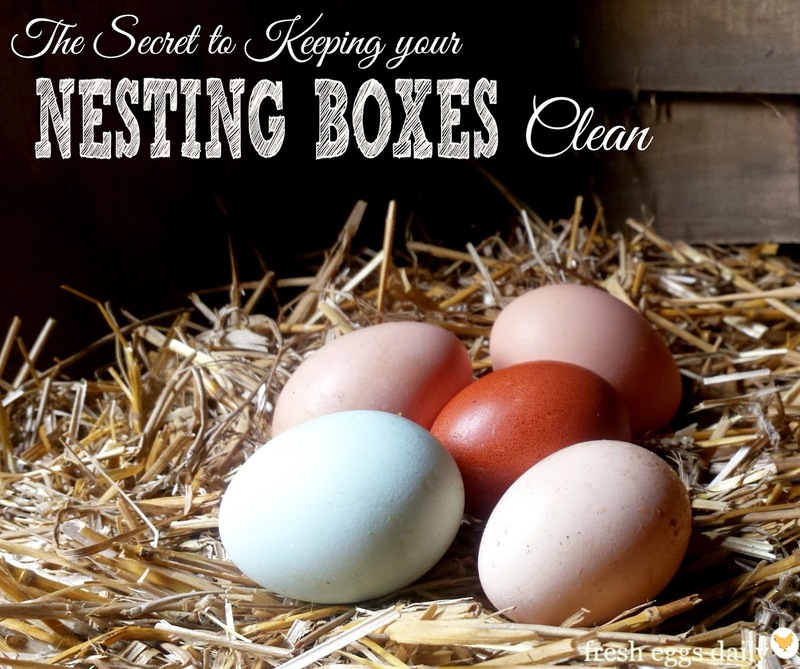 The Secret to Keeping your Nesting Boxes Clean - Block those Boxes! 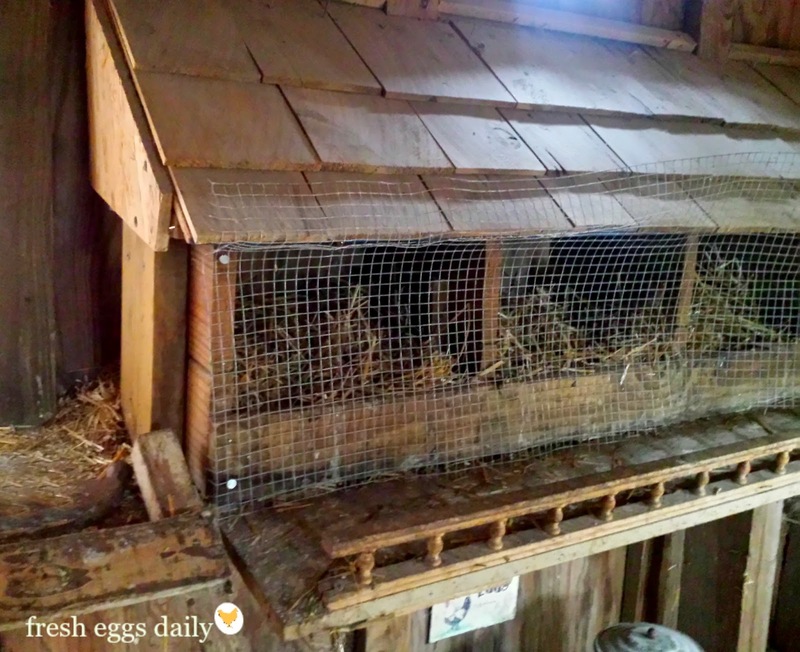 Eggs from your backyard chickens stay fresher if they aren't washed before storing them, but no one wants dirt- or poop-covered eggs on their counter, or worse in the refrigerator. 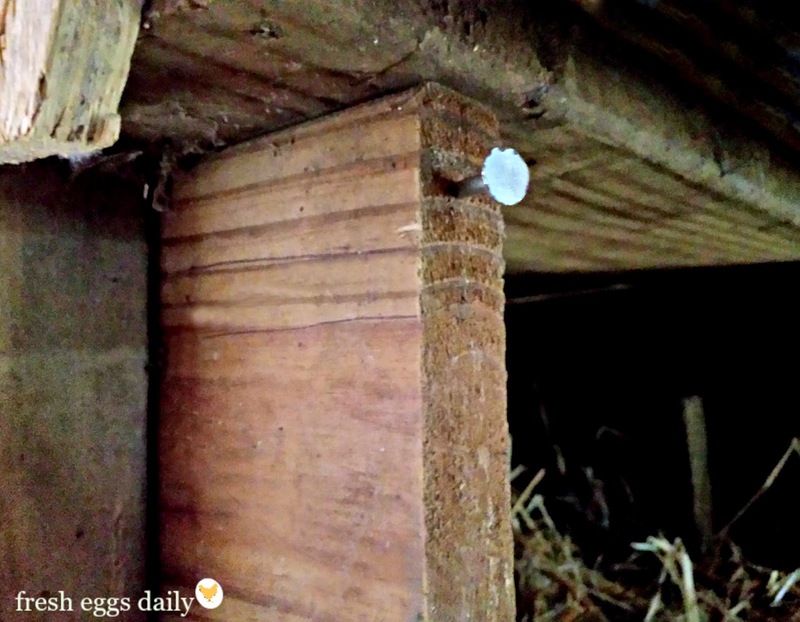 So how can you ensure that you always collect clean eggs? 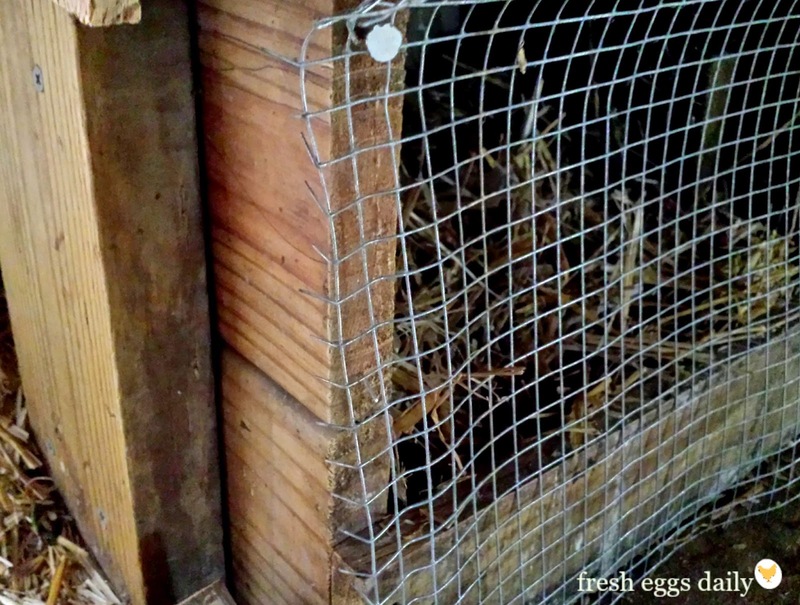 Each morning I 'fluff' the straw in the nesting boxes and check for poop. I remove any dirty straw and replace it with fresh, clean straw. 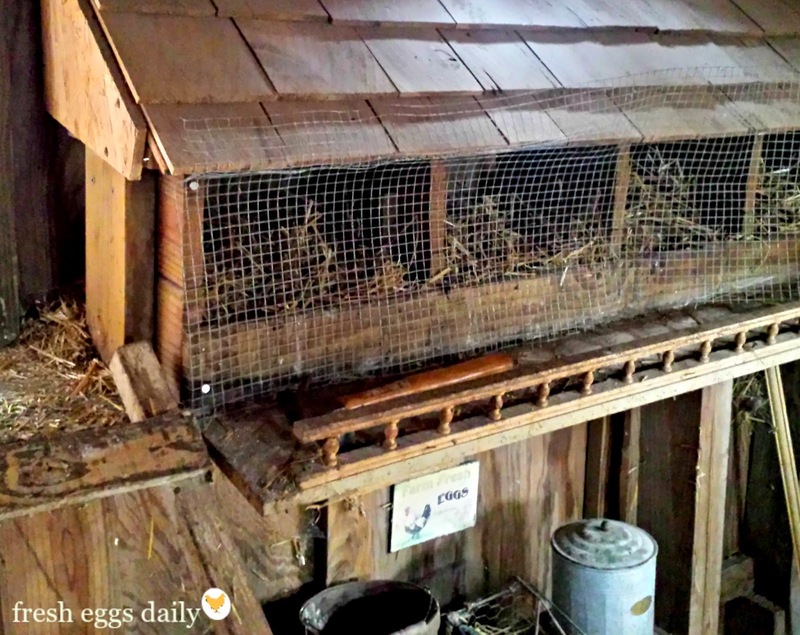 Chickens generally will only poop in the nesting boxes if they are sleeping in them at night. 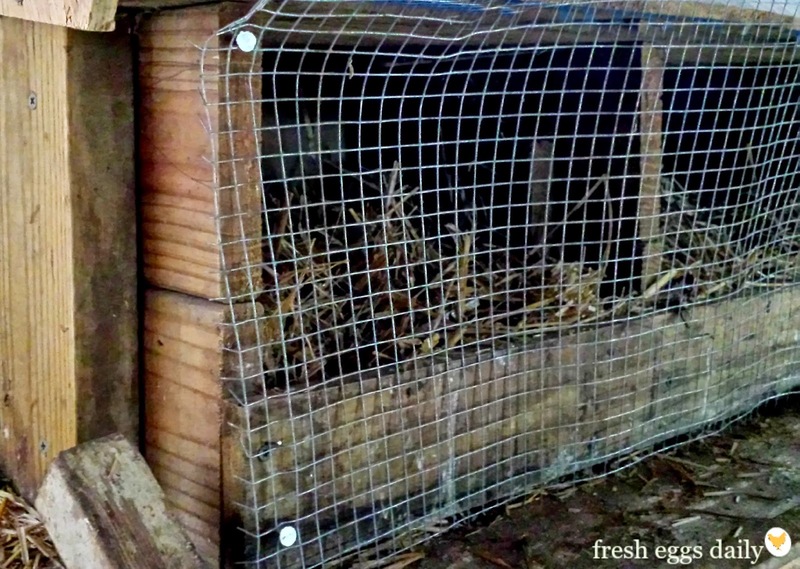 Often young pullets will try to sleep in the boxes instead of on the roosts with the older hens. To prevent this, take any little ones out of the boxes and place them onto the roosts after dusk. And be sure your roosts are positioned higher than your boxes. Now you can easily put up and remove the wire as needed without any trouble. For more tips on making sure your eggs are clean when you collect them, read HERE. 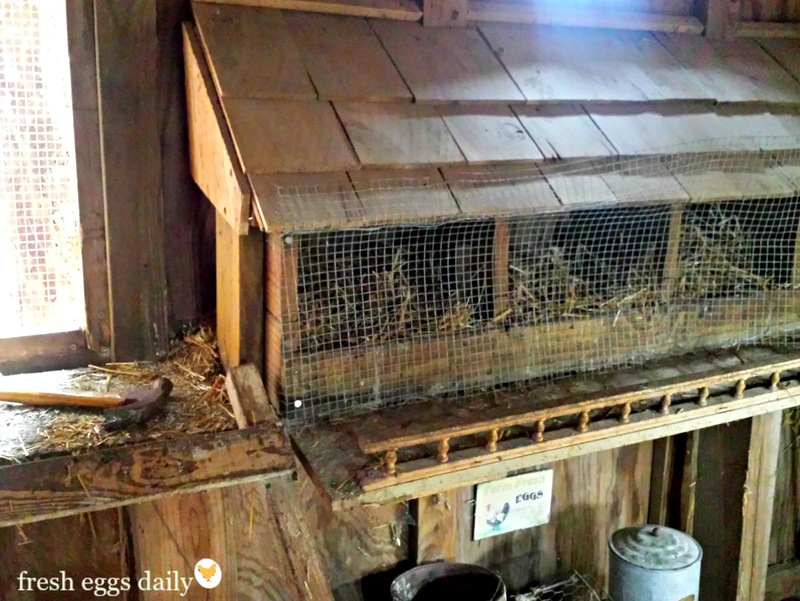 For my three secrets for a clean chicken coop, read HERE. Love this tip? For 100+ more easy, inexpensive chicken keeping "hacks" be sure to order a copy of my new book!